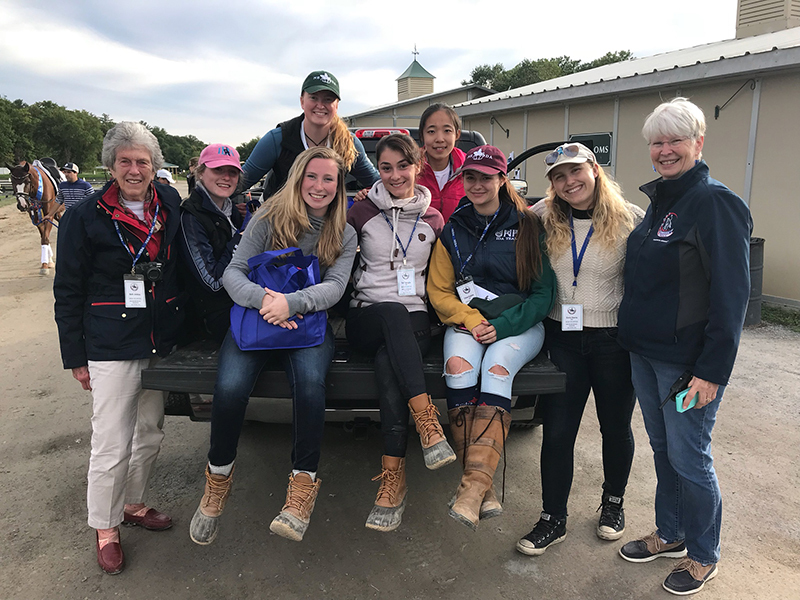 A group of riders from the UNH equestrian team recently volunteered at the New England Dressage Association (NEDA) Fall Festival of Dressage at HITS Saugerties in New York as part of a team fundraiser. The students, all of whom compete on the UNH Intercollegiate Dressage Association (IDA) squad, were invited to volunteer at NEDA Fall after outstanding work as volunteers last year at the NEDA Fall Symposium featuring Olympic medalist Carl Hester. NEDA Fall Festival of Dressage is the largest dressage show in the country. The four-day festival is not only the United States Dressage Federation (USDF) Region 8 Championships but also an official qualifying competition for several United States Equestrian Federation (USEF) and USDF National Championships. The team looks forward to its next volunteer opportunity with NEDA October 13-14 at the 2018 NEDA Fall Symposium with Olympic gold medalist Charlotte Dujardin. Emily Stearns will be the volunteer coordinator and team members will be volunteering throughout the weekend and sitting in on the multiple educational opportunities. The IDA team will attend its first competition of the 2018-2019 season September 29, at the University of Maine.